‘Pretty fair; they might do better,’ said he, as one too well-mannered to make much of an accomplishment in which he had a hand. 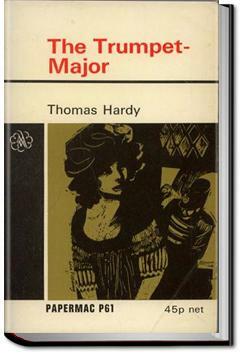 "The Trumpet Major" is one of Thomas Hardy's less well known works, and if less social importance. It is a romance novel, nothing more, although complicated. Maybe even 4.5. I really enjoyed this Hardy - it has an interesting and clever mix of light and dark tone, and is set not in the Victorian times but during the Napoleon Wars, which adds an interesting historical dimension to the book as well. Hardy's writing is beautiful as ever. A good time at reading with the beautiful Anne Garland and the two brothers John and Bob Loveday, and many other minor characters (not always nice elsewhere), all in a beautiful English countryside at the time of the Napoleonic wars. A provincial idyll? Not only.